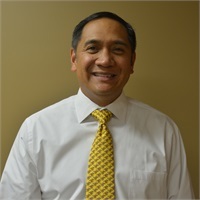 Erich Castillo is founder and president of Cornerstone Wealth Management. Originally from San Francisco, he has traveled and lived all around the world, eventually landing in Lexington, Kentucky. While earning a Bachelor degree in both Finance and Education at the University of Kentucky, Erich had the opportunity to work as an athletic trainer for the football, basketball, soccer, women's gymnastics, and men's tennis teams. Erich began his professional career in 1997 at American Express Financial Advisors, achieving numerous accolades and awards which inspired him to found his own business. In 2004, he founded Cornerstone Wealth Management, where he has more flexibility to provide personalized and client-centric service. Erich prides himself on continuing his education to research of emerging market trends and new investment opportunities. He currently holds a General Securities Series 7 and Series 63 registration. He also has his Life, Accident, Health and Variable Insurance and Annuity designation so he can act as a comprehensive resource for his clients. In order to expand his service to the community, he added a certification as a Renaissance Advisor, which allows him to assist clients in the area of charitable gifting and the development of charitable remainder trusts. To round out his financial education, he holds a Chartered Life Underwriting Designation and Chartered Financial Consultant Designation. Though Erich has an accomplished career, his greatest treasure is his beautiful family. Erich met his wife, Emily, at the University of Kentucky. She is a native of Louisville and graduated from Male High School. Together, they have two great sons, Brandon and Carson. Emily and Erich are avid UK Wildcat fans, but Brandon and Carson have broken ranks to become U of L Cardinal fans...go figure!